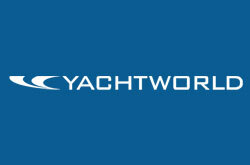 Just released, the 2016 YachtWorld Market Index reports market figures have shifted incrementally, but as our summaries show in six European countries and eight U.S. regions, the markets are dynamic in each area. Other reports in this edition go deeper than before into reviewing the top sold brands in the most popular classes. Not only do we report on the top 10 brands in the top 16 classes from the U.S. and Europe, but for a different slice of the market, we look at the Top 100 most commonly sold class/brand combinations. Download the 38-page Index here and visit the Boats Group site’s Published Data section to read earlier copies of the Index.